Stateside's interview with Dr. Howard Markel, University of Michigan medical historian and PBS contributor. The TV series "Mad Men" was set in the 1960s, and its creators went to great pains to make it look as authentic to the era as possible. That means just about every character smoked. Everywhere. All the time. 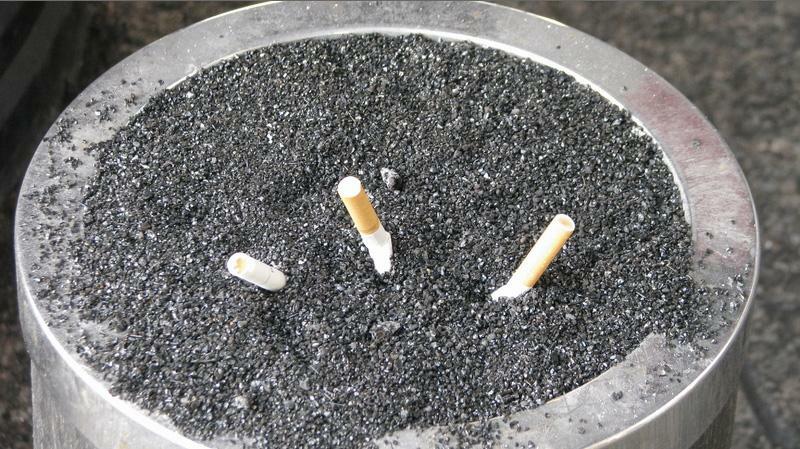 Cities cannot refuse to sell tobacco products to people between the ages of 18 and 20. That’s coming from state Attorney General Bill Schuette who issued an opinion today. State Senator Rick Jones asked the Attorney General for the opinion. He says he got a lot of calls about the ordinance from concerned constituents. A new report suggests Michigan could do more to curb cancer, including raising the tobacco tax and increasing funding to tobacco prevention programs. The report is from the American Cancer Society Cancer Action Network. The organization has created a report for each state, which looks at nine public policy areas. The American Lung Association is not happy with state health insurance plans. Jim Harrington with the Lung Association says in Michigan, many plans aren't covering the drugs or therapy needed to help people quit. 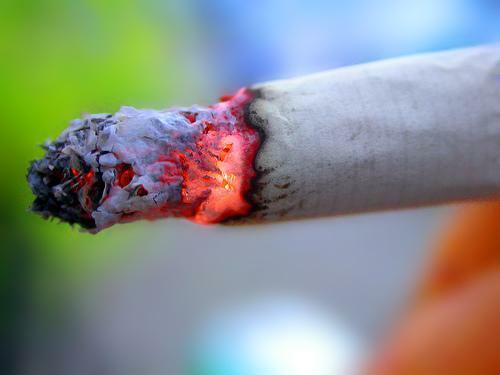 Should Michigan raise its smoking age to 21? A new report suggests Michigan and 45 other states should consider raising their legal smoking age from the current 18 years old. The report entitled Public Health Implications of Raising the Minimum Age of Legal Access to Tobacco Products was released this week. Gov. 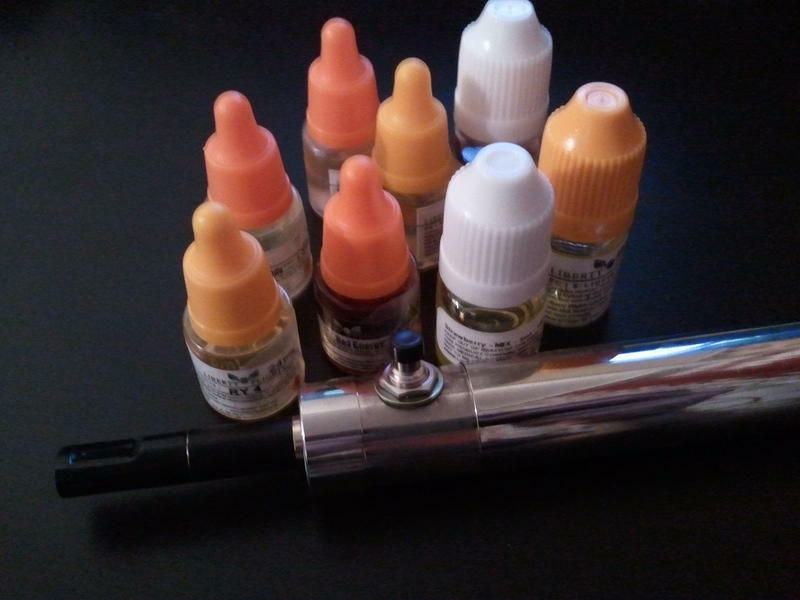 Snyder has long said he's wanted e-cigarettes treated more like tobacco products under the law. In his veto, Snyder said House Bill 4997, Senate Bills 667 and 668 would have kept e-cigarettes and other alternative nicotine products from being regulated as tobacco products under Michigan law. Have you ever noticed there are certain places where smokers seem to congregate? How about mental health agencies? 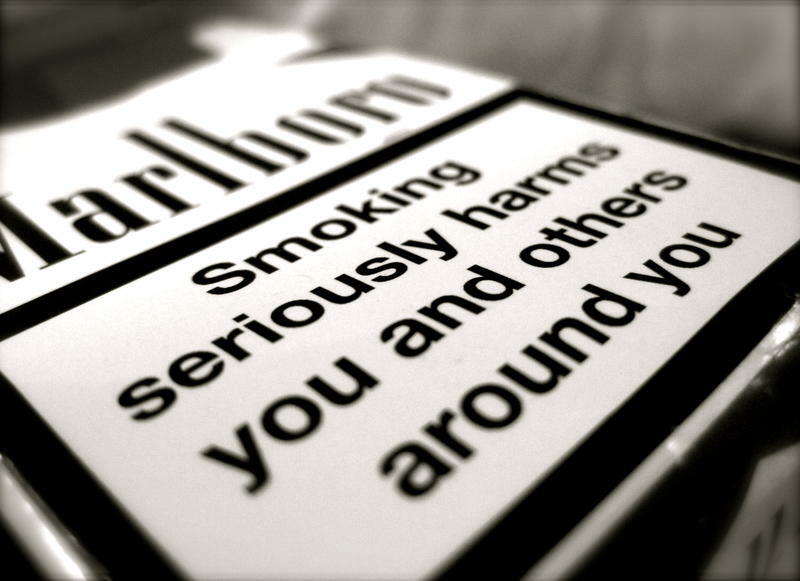 People with mental illness are far more likely to smoke than the rest of the population. Part of the problem is that smoking has been seen as therapeutic for people with anxiety or schizophrenia. But advocates in northern Michigan say the short-term effects of nicotine don't outweigh the long-term consequences of smoking. And they say it’s time to help a vulnerable population quit. 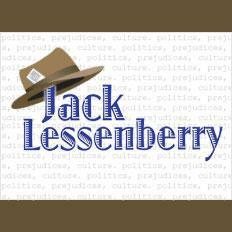 Interlochen Public Radio’s Linda Stephan reported on the initiative. *Listen to the full story above. 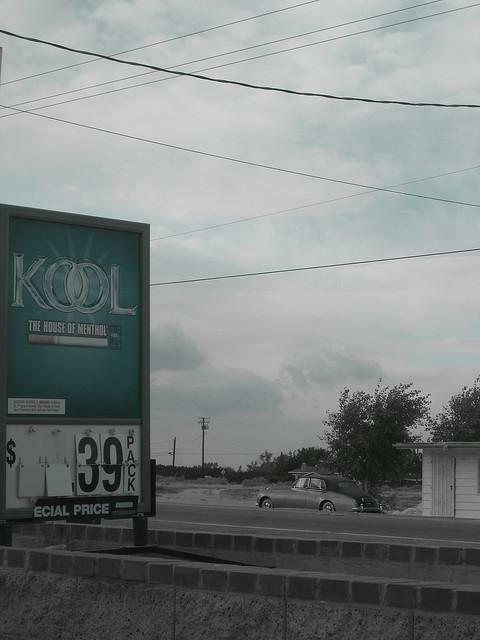 Why were Detroit smokers in the 1970s so loyal to Kool cigarettes? Why is it that one product will resonate with a group of consumers, while a similar one just can't quite catch on? It's the sort of dilemma you can imagine Don Draper and Peggy Olson trying to figure out in an episode of "Mad Men." Turns out, it was a dilemma for a major tobacco company: trying to figure out why Detroit smokers were so loyal to the competition – in this case, Kool cigarettes in the 1970s. Steve Neavling is an investigative journalist who looked into this bit of tobacco history for Motor City Muckraker. 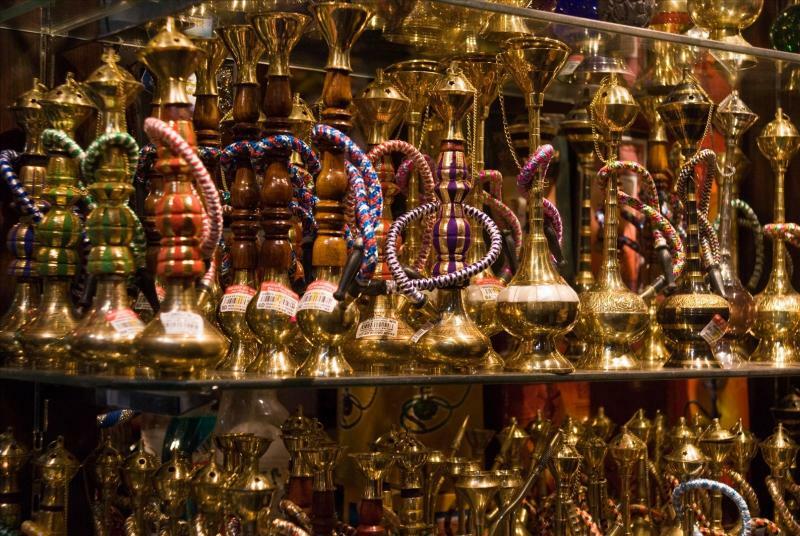 David Leveille published a story about the increasing popularity of hookah lounges in the Detroit area for PRI's The World. Leveille spoke with pulmonologist Basim Dubayo, the associate chairman of the Department of Internal Medicine at Wayne State University's School of Medicine. State Rep. Tom McMillin, R-Rochester Hills, wants to loosen Michigan's smoking ban. 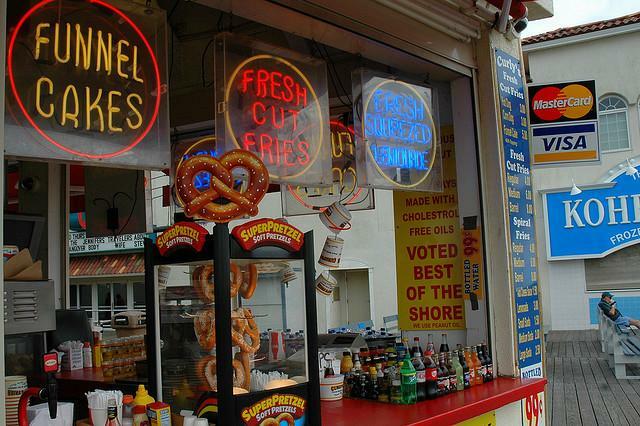 Since 2010, Michigan has had a ban on smoking in restaurants, bars, and public venues. House Bill 5159 would give these businesses the green light to allow smoking on patios and other outdoor areas. Detroit Free Press columnist Brian Dickerson has some strong thoughts about this proposal from Rep. McMillin. Michigan is getting poor marks in a new national health survey. For 24 years, the United Health Foundation has looked at the healthy or unhealthy habits of Americans. According to the American Health Rankings out today, nationally fewer people are smoking and more people are exercising. The national obesity rate held steady, which is the first time since 1998 that the survey didn’t record an increase. Tobacco, somebody once said, is the only product that, when used as directed, kills you. Though smoking rates have declined, more than a 150,000 Americans each year die of lung cancer, nearly all directly killed by smoking. That doesn’t include the thousands who die of other smoking-related diseases, from heart failure to emphysema. We also know that with rare exceptions, smokers start the habit -- addiction, really -- while they are legally too young to smoke. Have you ever met anyone in their 30s who spontaneously decides to start? State Senator Steve Bieda of Warren knows this; like many of us, he has seen relatives die in great agony as a consequence of smoking. Unlike most of us, however, he is in a position to try to do something about it. 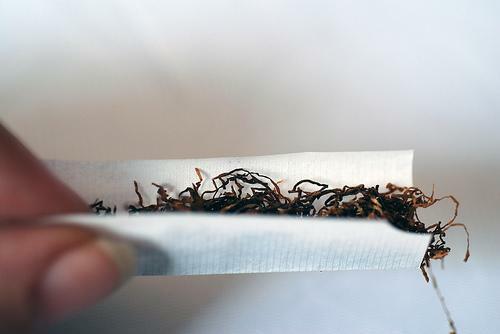 He’s introduced a bill to double the penalty to anyone selling tobacco to a minor to $100 for the first offense, and $500 for subsequent offenses. 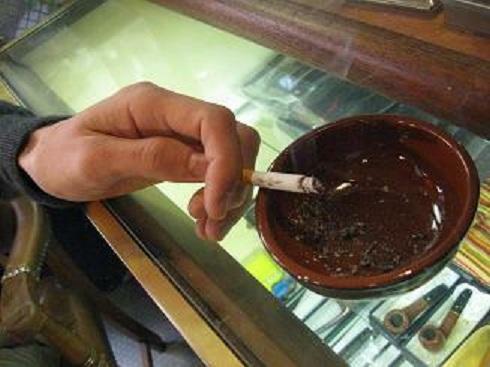 The state of Michigan is loosening the no-smoking rules at some restaurants and bars. 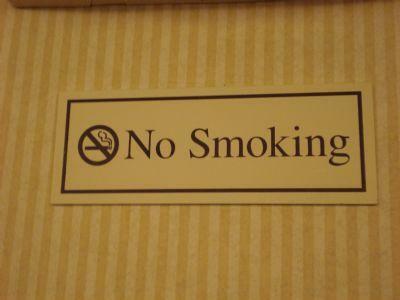 Smoking outdoors will be allowed under certain circumstances. 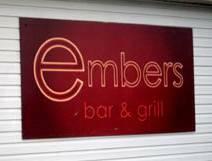 Ever since Embers Bar and Grill in Tecumseh added an outdoor patio earlier this year, patrons who smoke have asked if they can light up. General Manager Sam VanSickle has always had to explain they cannot allow it. A new survey shows your health may depend on where you live in Michigan. The University of Wisconsin puts out an annual assessment of the health of the nation’s counties. The survey compares different factors, including access to clinical care and personal habits, like smoking. 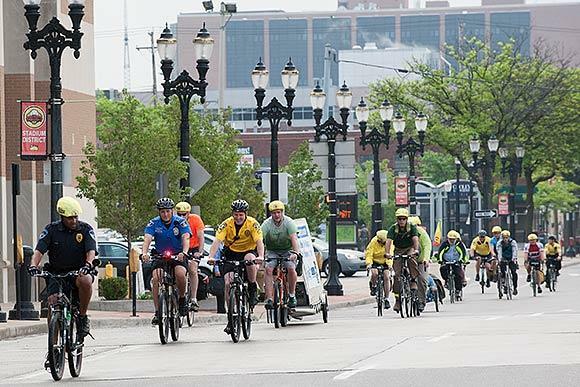 As you may expect, counties surrounding Ann Arbor and Grand Rapids score high on the survey, but so do several counties in northern Michigan and the Upper Peninsula. A new national ad campaign to get people to quit smoking is already showing dramatic results in Michigan. The Center for Disease Control launched the ads two weeks ago. 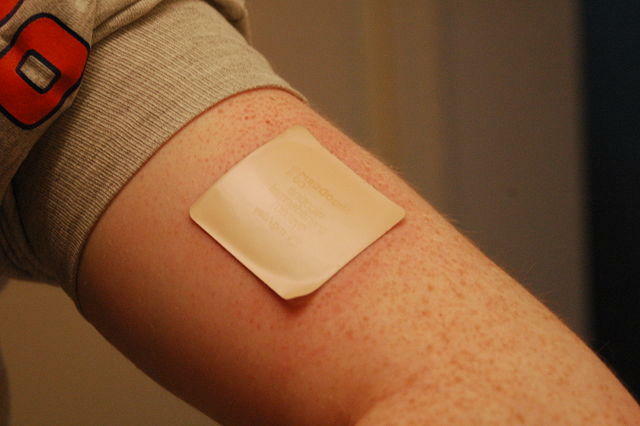 They feature former smokers who’ve had heart attacks, strokes or parts of their bodies amputated because of tobacco use. Angela Minicuci is with the Michigan Department of Community Health. She says the number of calls coming into the Michigan Tobacco Quitline (1-800-QUIT-NOW (784-8669) has skyrocketed. “We’ve had a 200-percent increase in the two weeks since the campaign has launched and that’s not something that we’ve ever seen before,” Minicuci said. She said the early results are similar across the country. Governor Rick Snyder will ask Michiganders to quit smoking, lose weight and eat better in a health care message tomorrow that’s expected to focus on wellness and disease prevention. The speech is expected to focus as much on identifying the problems as outlining solutions that won’t cost taxpayers a lot of money. The Governor is expected to acknowledge there is not a whole lot government can do to make people live healthier lives. A group of bar and restaurant owners in Michigan plans to ban lawmakers from drinking or dining in their establishments, beginning September First. It’s a campaign to protest Michigan’s smoking ban, which took effect last May. A group called Protect Private Property Rights of Michigan is circulating pictures of the state’s lawmakers, and about 500 bars and restaurants are expected to enforce the ban. YPSILANTI, Mich. (AP) - Eastern Michigan University is considering a campuswide smoking ban as the University of Michigan gears up to go smoke-free. AnnArbor.com reports that the Eastern Michigan will try out a two-week smoking ban at its Ypsilanti campus this fall to see how that works. Ellen Gold, executive director of EMU Health Services, says the two-week ban is being called "Heads up, butts out." If all goes well, Gold says smoking could be banned on campus within a year-and-a-half of the practice run. Officials at Eastern Michigan will be watching to see how things go with University of Michigan's ban on smoking outdoors and indoors, which takes effect Friday. 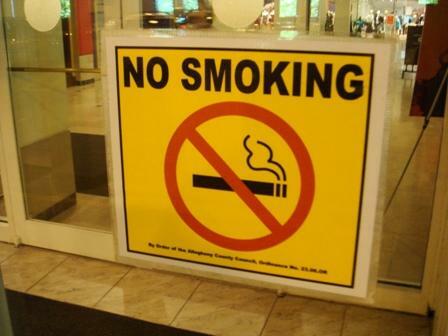 The university has banned smoking inside its buildings since 1987. Smoke shop owners are feeling the heat in Michigan as 300 shops received warnings in March from the Michigan Department of the Treasury, according to the Detroit News. Using an "automated roll-your-own machine," which the Department of the Treasury claims amounts to the illegal manufacture of cigarettes. 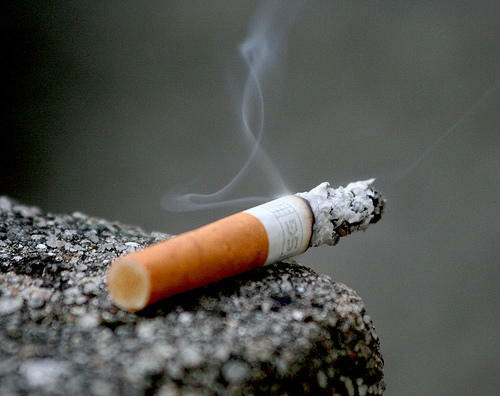 The smokes from the machine can be up to 50% cheaper than buying brand name cigarettes. It has been one year since the ‘No-Smoking’ signs went up in Michigan bars and restaurants. Reviews of the one year old state smoking ban are mixed. We reported last week that some 400 Michigan bar owners planned to ignore the state's smoking ban and allow patrons to light up on New Year's Eve. "There were an estimated 700 bars that took back their property right on New Years Eve. Exceeding all expectations. While confirmations continue to come in, we are confident this number will grow significantly. Several bar owners have reported already receiving calls from county health departments. Bar owners remain hopeful that the pro-ban lobby and the minority that support them, did in fact flood the county and district health departments with complaints. This will assist to provide conclusive evidence that this ban is in fact enforced 45 separate ways statewide. "